Sarawak has a coastline that runs 700km along the northwestern side of Borneo. A good place to begin discovering its beauty is Damai Beach, in Santubong. This vacation spot is embraced by the South China Sea and has the majestic jungle-clad Mount Santubong as its backdrop. 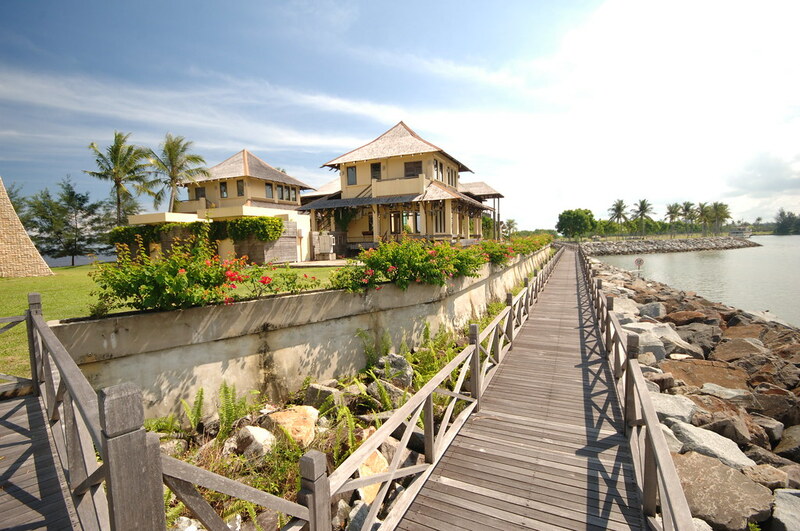 A snapshot of the Damai beach at Kuching. The beach is ideal for all water related activities such as swimming, beach volleyball and water jet ski. If you’re in good shape and love a challenge – then definitely check this out. If your looking for a leisurely stroll, this is not for you. Given that more than a third of the hike requires the use of ropes, it should be considered in part a technical climb. I’m not sugar coating it – this was the most difficult hike that I have encountered in a life of hikes across the world. Pros: challenging, unique, easily accessible if you’re staying around Damai, awesome if you’re Into rainforest flora (in terms of fauna, we saw a lizard, two frogs, one bird and 19 billion insects). A very attractive Norwegian family climbs the trail every Saturday. Cons: The hike is extremely steep for 80% of its length. It’s quite dangerous and often. The views are ok, but just ok. Your hands are rubbed raw by the end from using miles of rope to pull yourself up the steep parts (note:it’s all steep parts). You develop a lifelong hatred for roots. Do: Bring at least 4 litres of water per person. Pack a lunch because you’ll be up there for a while. Bring gloves (driving or weight lifting). Pick up your trash (I’m talking to you, several groups of locals dropping candy wrappers and water bottles everywhere). Some of the state’s best beach resorts located here are the Holiday Inn Damai Beach Resort and Permai Rainforest Resort. A short drive away from this beach is the Sarawak Cultural Village, a living museum of various ethnic cultures in the state. Located about 90km from Kuching are the pristine beaches of Siar, Sematan, Penyok and Bandung, ideal for swimming and sunbathing. Baby turtle at the Satang Besar Island. Just a 30-minute boat ride away from Damai Beach are the Satang Besar and Satang Kecil islands, sanctuaries for green turtles. Day trips can be made to the Satang Besar Island with the permission of the Talang-Satang National Park office. Sarawak’s national parks offer a host of adventures for eco-lovers. Tanjung Data National Park, at the western tip of Sarawak, has some of the state’s most beautiful beaches and vibrant coral life. We did an early morning hike recently in Similajau National Park. After paying the admission fee of RM10, we went on our way to Turtle Beach 1. Somewhere near the coastline at Simulajau National Park. The trekking route was not particularly difficult in terms of incline. Our main challenge, however, was having to deal with the result of a storm from the previous days. We were faced with fallen trees completely obstructing the trekking path which warranted many detours through the thorny overgrowth of shrubs and trees to get to our destination. We were however, rewarded with an amazing white sandy beach with waves uniformly crashing against its shores. Our other gripe was that it was littered with plastic bottles and wrappers- a shame really considering the beauty of the beach and its purpose as a turtle nesting site. The trek to Turtle Beach 1 took approximately 4 hours in total. Similajau National Park, in the northeast, features golden sandy beaches that face the South China Sea. 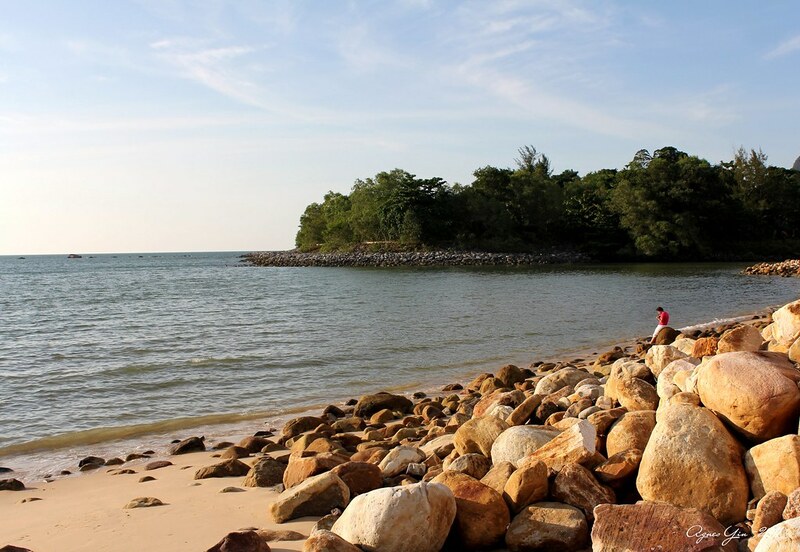 In Bako National Park, discover the sandy coastline that is ideal for swimming and sunset watching. 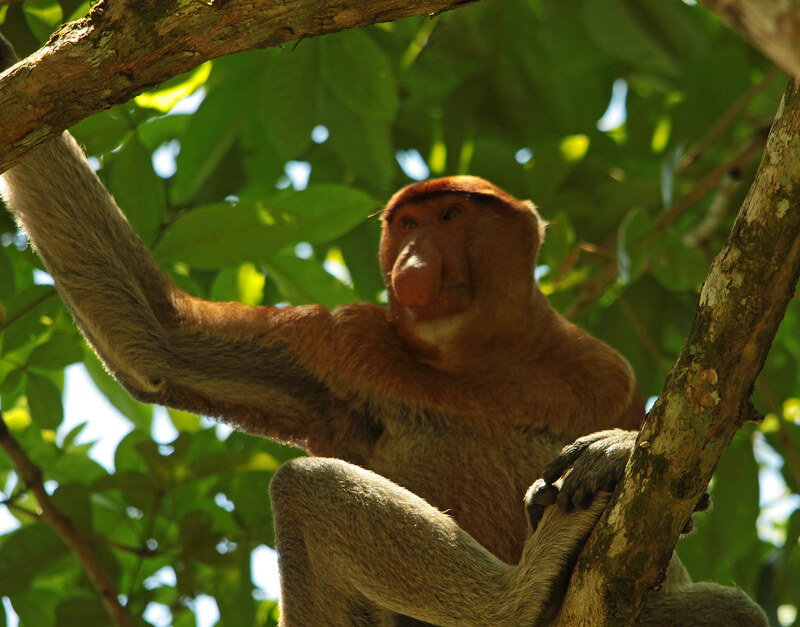 Sightings of the long nosed proboscis monkey, a species unique to Borneo will be a memorable experience. A snapshot of the proboscis monkey at Bako National Park. It poured with rain as soon as we arrived, we were soaked to the skin, but it was really warm and just added to the adventure , the hikes are clearly marked out you don’t need a guide unless you want the flora and fauna named. We saw two groups of monkeys flying through the tress it was incredible. Most people that day didn’t see any. Took a boat from one of the beaches round to see the rock formations pretty impressive in rough water. 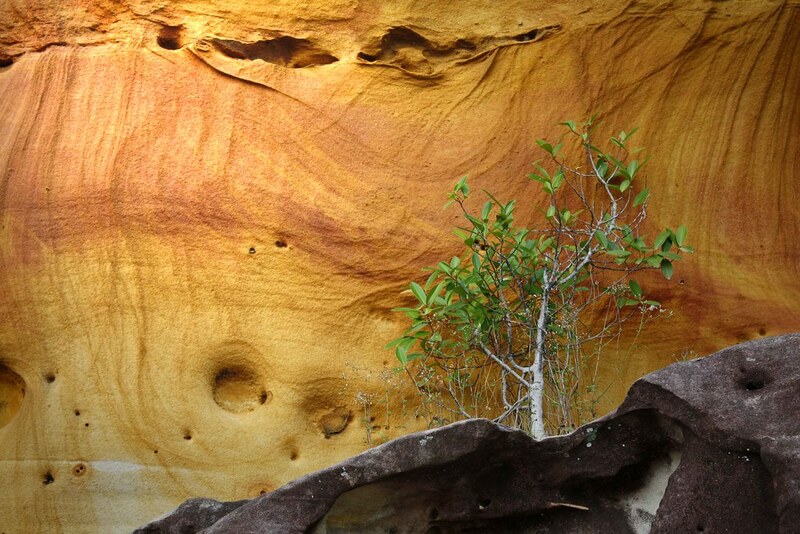 A snapshot of some natural rock formation at Bako National Park. Would definitely recommend this but wouldn’t take children under 7 the hikes require steady footing and the ability to scramble up and down on occasions. On the northern most corner of Sarawak, the long stretches of beaches in Miri are a popular weekend getaway. 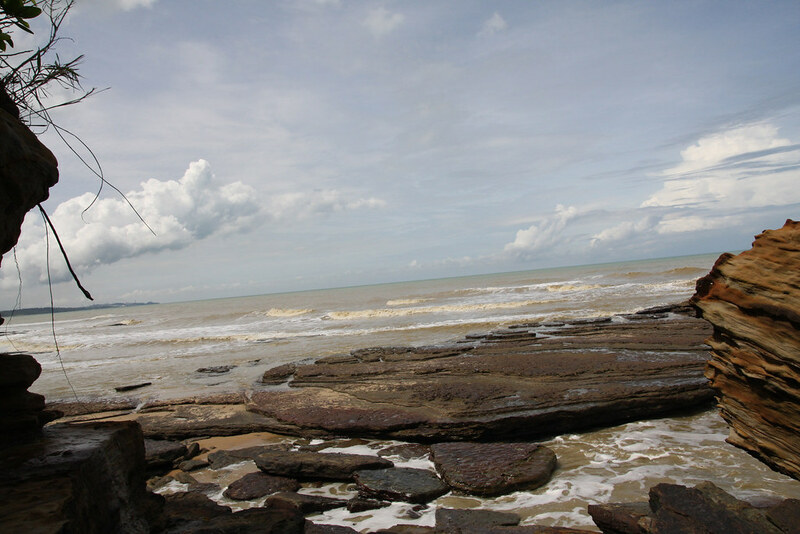 The Luak Bay and Hawaii Beach are among the well-known shores in Miri. Miri is dubbed the ‘gateway to adveture’ as it is the take-off point to exciting destinations such as Mulu Caves, Niah Caves, Lambir Hills and Bareo Highlands. At Luak Bay, Miri, Sarawak. Lambir Hills National Park – The park is home to an incredible diversity of plant, trees and insects, some that are yet to be identified. Niah Nationl Park – Experience the awe of standing at the archaeological site of 40,000 year-old human remains in this park. Bako National Park – Sarawak has many national parks, each teeming with a wealth of flora and fauna. Bako National Park is the state’s oldest, and home to the rare long-nosed proboscis monkeys, long-tailed macaques and various other animals. It serves as an excellent introduction to the rainforest. For more pictures of Islands in Sarawak, please visit the following flickr photostrea.